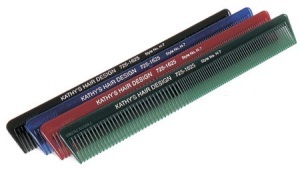 Print your customized information right onto these 5″ promotional plastic combs. All orders are packed with 250 plastic hair combs in an attractive display box. Combs allow a one line personalized imprint on one side, up to 40 letters and spaces. Choose from white imprint (recommended) or gold. 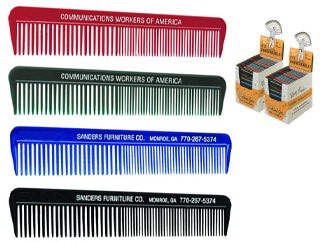 These unbreakable promotional plastic combs are made in the USA. 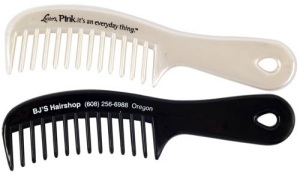 Every comb has the word “unbreakable” molded into it. An additional $55 non-refundable artwork charge must be paid before work can begin. Also consider our Emery Boards for a great and inexpensive promotional give-away.